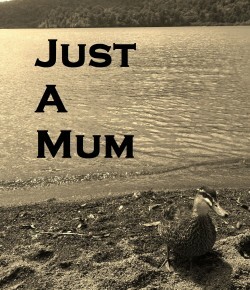 Just A Mum | It's the little things that make life fun! It's the little things that make life fun! I have finally made the jump to a new self hosted website!!! I am a combination of excited, nervous, packing myself and delighted!! It has been a massive learning curve and not much sleep for 72 hours but it looks like it is going smoothly so far!! Bring on the Next Stage in my blogging journey! Every now and then I remember to do something crafty with the kids, just to feel virtuous once every few months and not too neglectful lol! 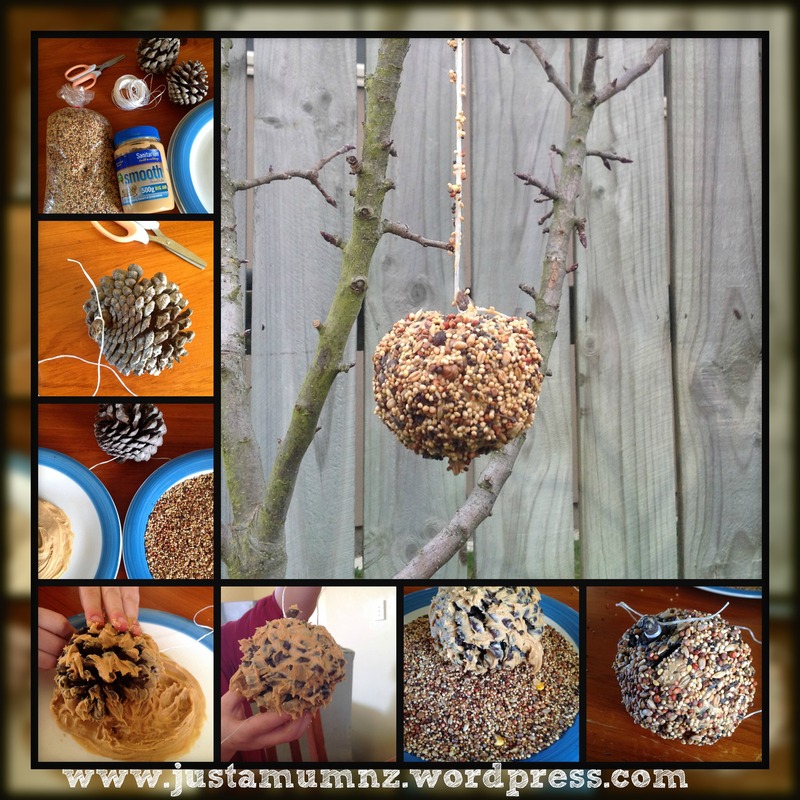 This one is easy to do and good for nature too 🙂 I remember seeing this years ago on a children’s TV show – you need very few ingredients and the kids love it – good messy fun and caring for animals. 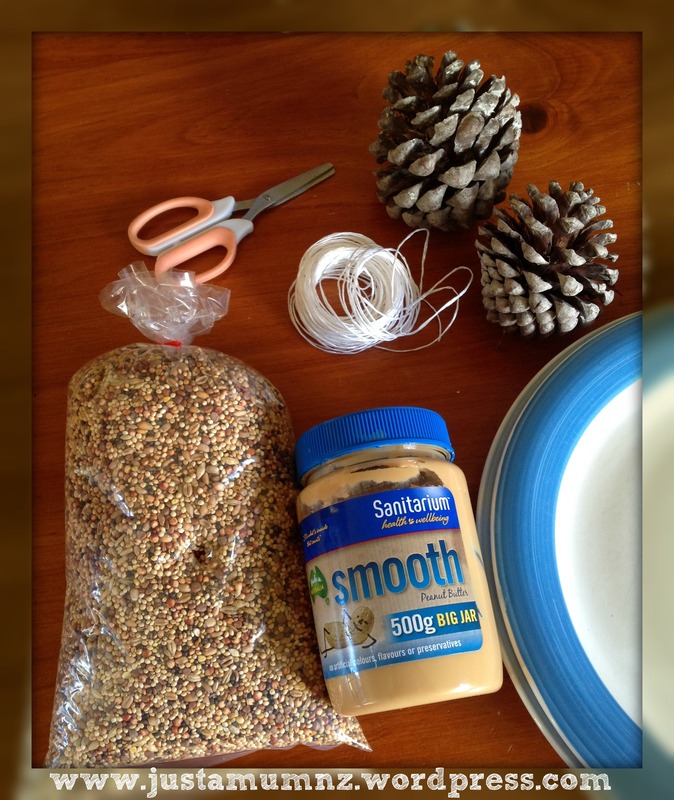 Chose a pinecone that has good openings in the body so you can smoosh lots of peanut butter amongst the gaps. 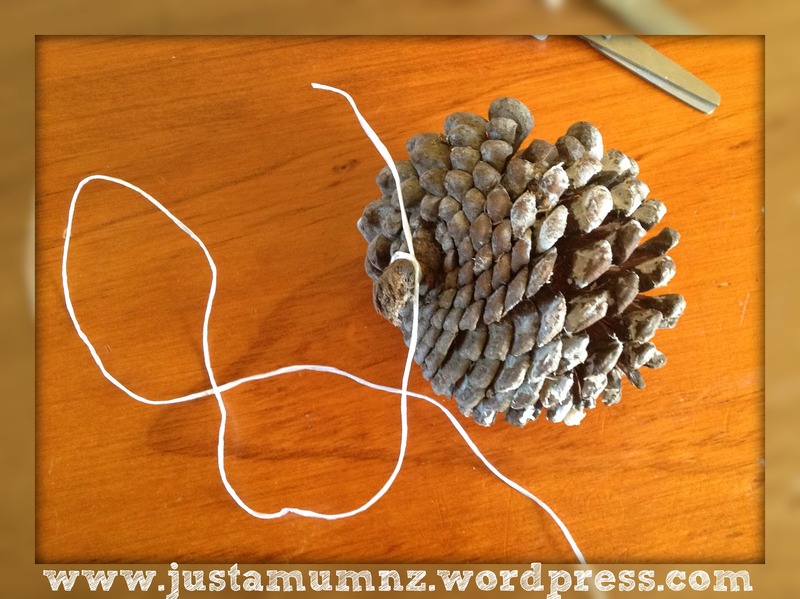 Tie a string securely around the stem of the pinecone – or if no stem – around the top openings. 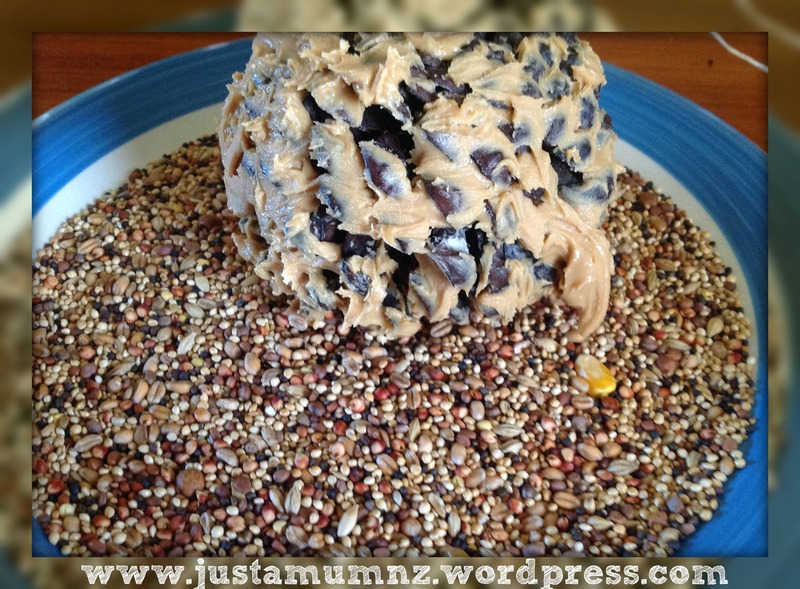 Spread 1/2 to 1 cup of peanut butter onto a plate and half a cup to a cup of birdseed onto another plate, depending on how many you are making. 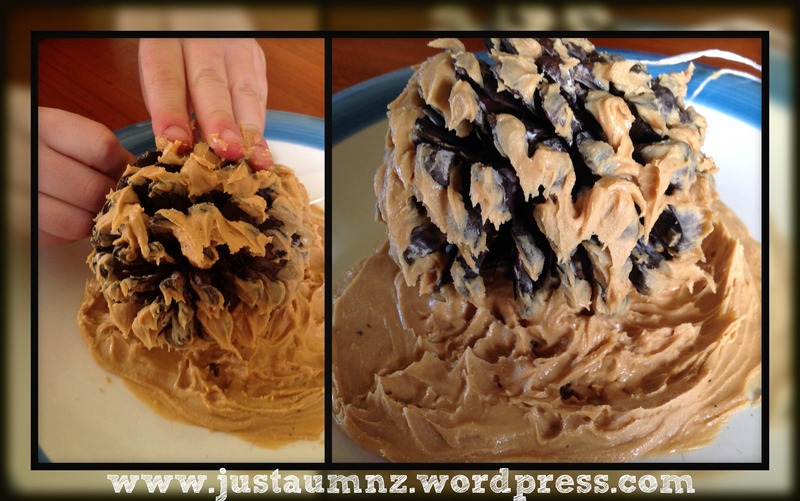 Roll the pinecone in the peanut butter, using your hands to smoosh the peanut butter in the openings. 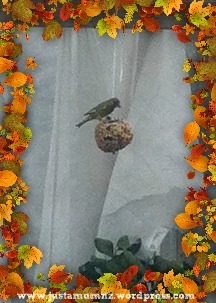 Transfer the pinecone to the birdseed and roll around until completely covered in birdseed. 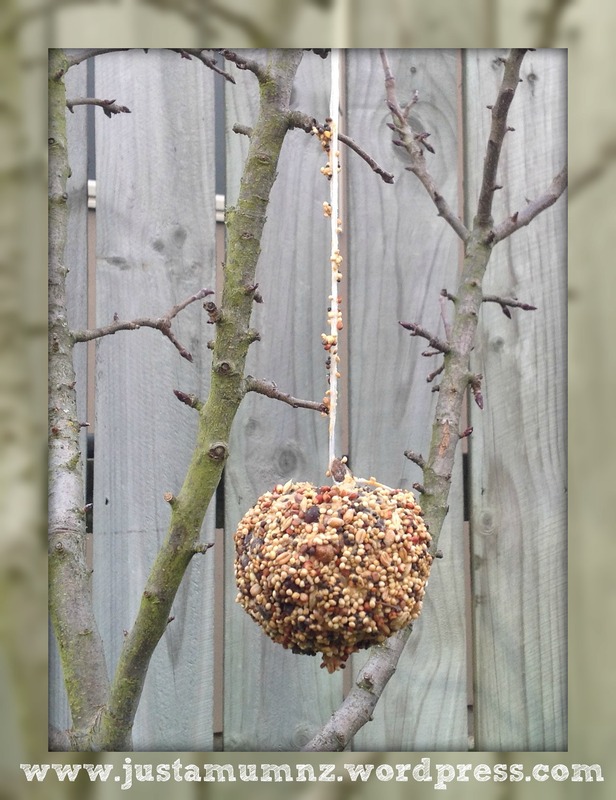 Find a suitable tree and securely tie the pinecone to the tree – choose somewhere the birds often like to come and ensure that you keep any cats away if you want the birds to survive their dinner! Then sit back and watch! 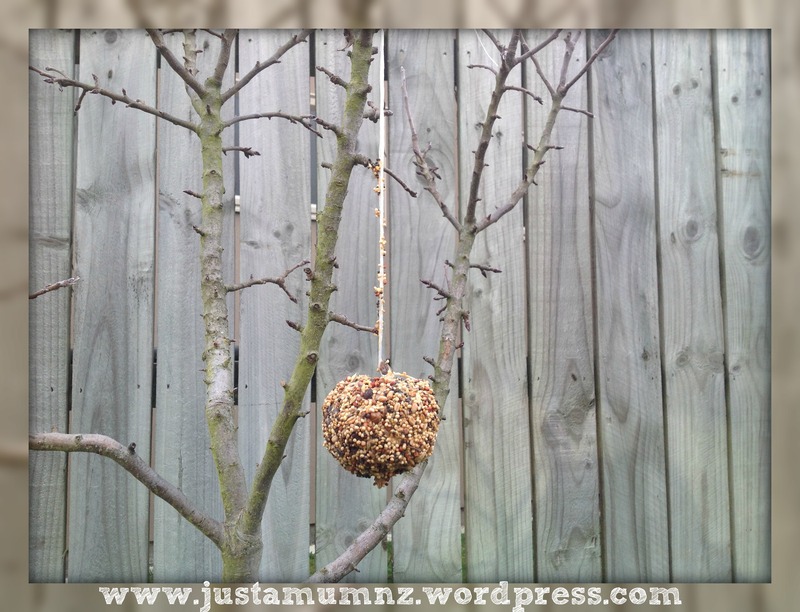 Depending on the season it may take some time for the birds to come but this is a lovely treat for them during Autumn and Winter. 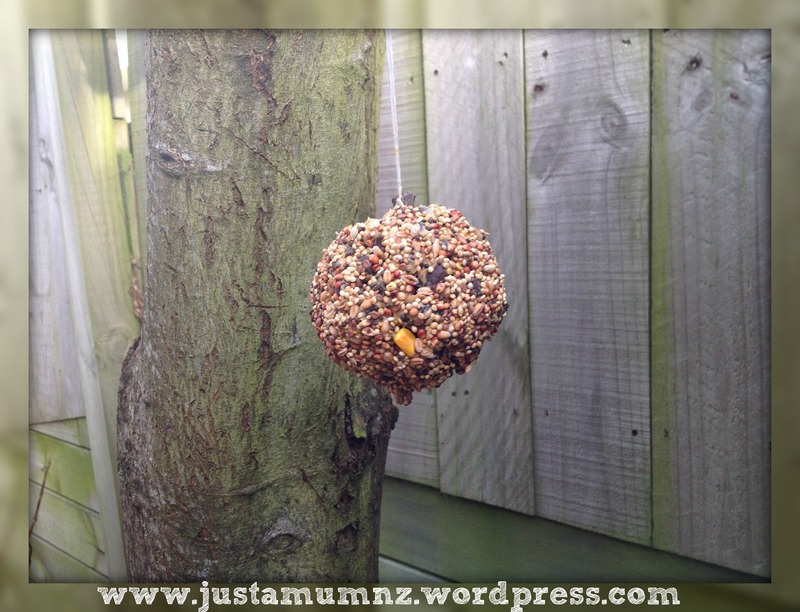 Thanks for checking out this easy kids activity, let me know if you try it and see if you can get a photo of a bird having a snack – we will keep an eye out on ours for the next few days too. You can follow me on Facebook or Twitter or follow this blog by registering your email above left. I love getting a bag of lemons given to me, our wee tree is getting there but only have 3 lemons from it so far! The next decision is what to make with them. 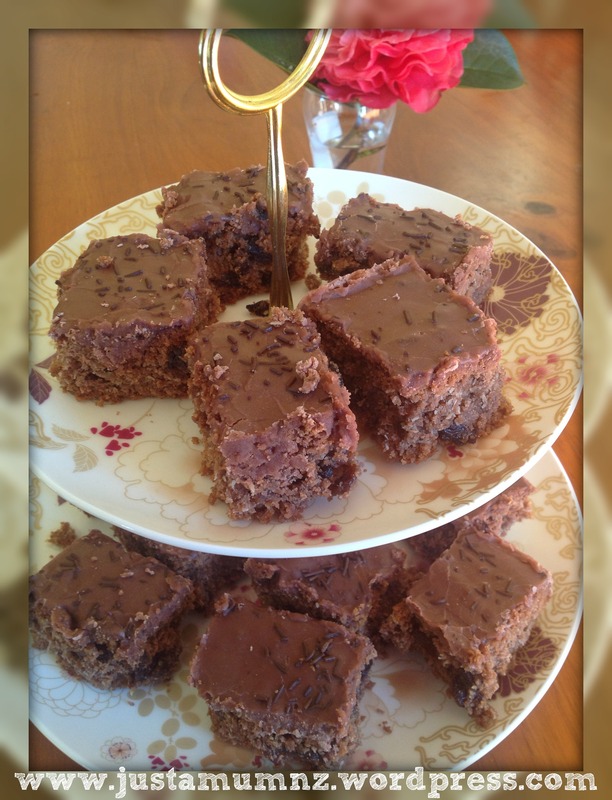 A few months ago Pinterest was full of Lemon Brownie recipes, I was intrigued – I am a little slow on the uptake but I finally made them today and they are delicious! Lovely lemony smell filling the house and a lovely fresh alternative to our decadent chocolate brownie you will find elsewhere on my blog. 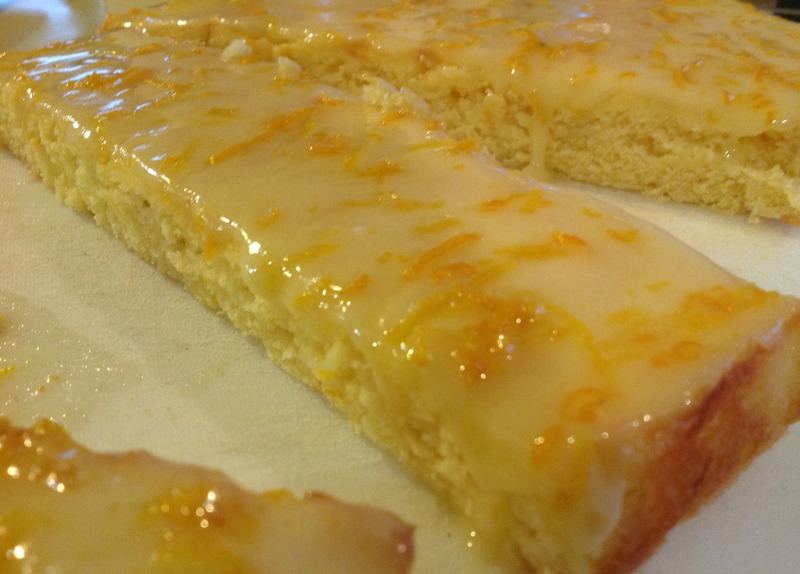 In all I used 5 small lemons, you may need less – using both the zest and the juice – this recipe includes a lovely drizzly lemon glaze which adds to the taste and texture of the Yellowie (totally think it should be a word – if its not already I’ll claim it!) Different varieties of lemons have a different taste to both the zest and juice – Meyer lemons are often the most popular as they are not as tart, but any lemons will do. Pre Heat oven to 170C. 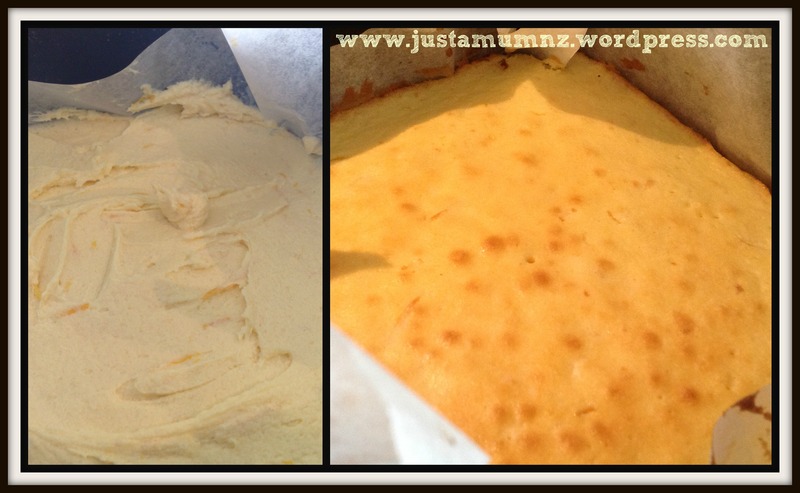 Prepare a 25 x 25 cm baking tin or slice pan with baking paper or grease well and set aside. 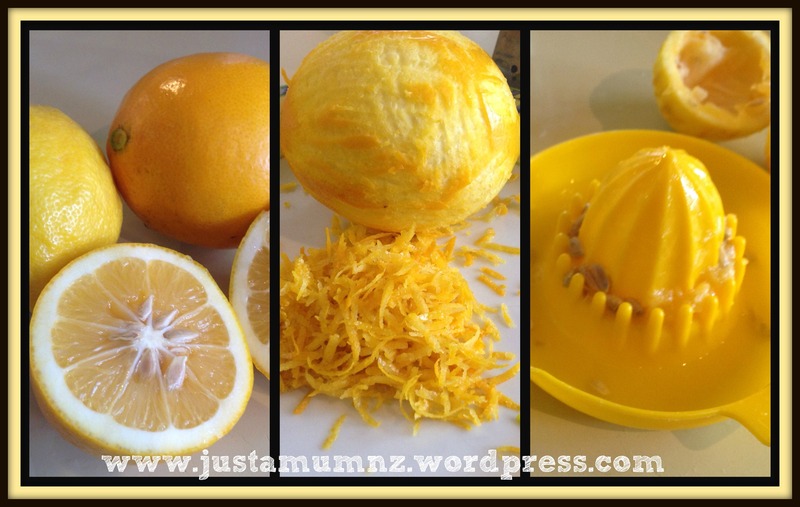 Prepare your zest (using smallest side of grater) and lemon juice and set aside. Using an electric mixer cream the butter and sugar until pale and creamy (approx 2-3 minutes), add flour and salt and combine well. In a separate bowl whisk together the eggs, lemon juice and lemon zest. Pour this into the flour mixture and beat at a medium speed until smooth and creamy – up to 2 minutes more. 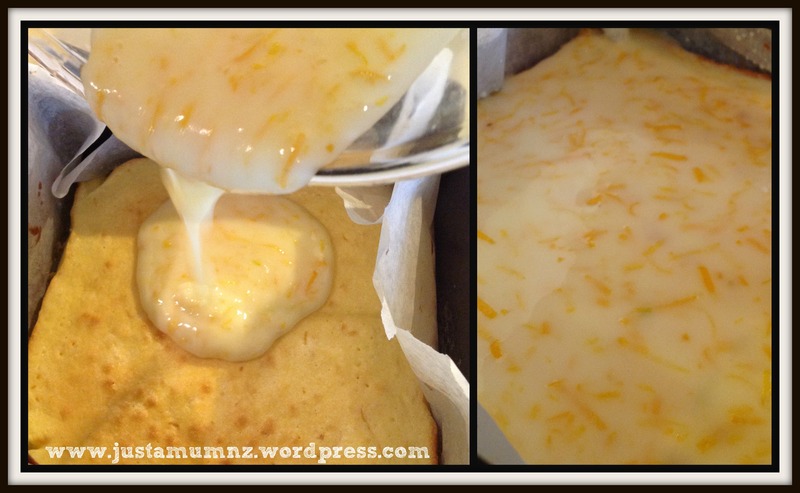 Prepare Lemon Icing Glaze once the slice has cooled completely. 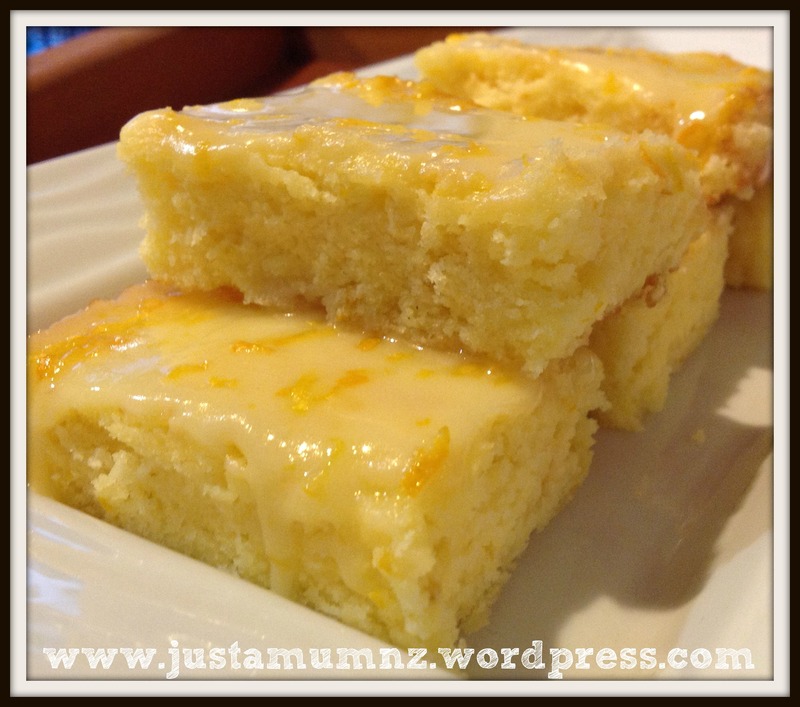 In a small bowl add the icing sugar (sifted if required) lemon zest and slowly add the lemon juice until you get the desired consistency – should be able to pour easily but not too runny. You can do this glaze in two layers if you would like a thicker layer – simply allow a few minutes to set in between pouring next half of mixture. Cut into small squares and serve. Store in an airtight container. 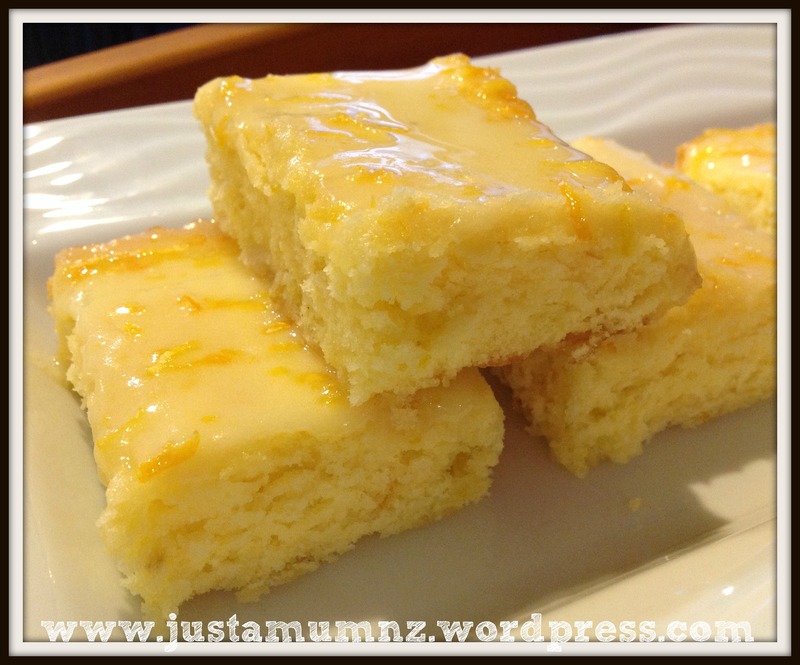 Thanks for stopping by to check out this recipe – look up the top of the page for my Sweet Treats Tab for more delicious recipes and lots of fun kids activities too. You can follow me on Facebook or Twitter, or register your email address above left to receive posts as I publish them. I was blessed to know my wonderful Grandma into my early 20’s until she passed. She was a busy Wife to a Sheep Farmer, a Mother to seven, a Grandma to 21 and by now would be a Great Grandma to lots & lots of Great Grandchildren! She was very special to me and some of the fondest memories I have of her are baking and preparing meals for her family & grandchildren and I am delighted to have many of her recipes, passed on by my Mum who was her eldest daughter. 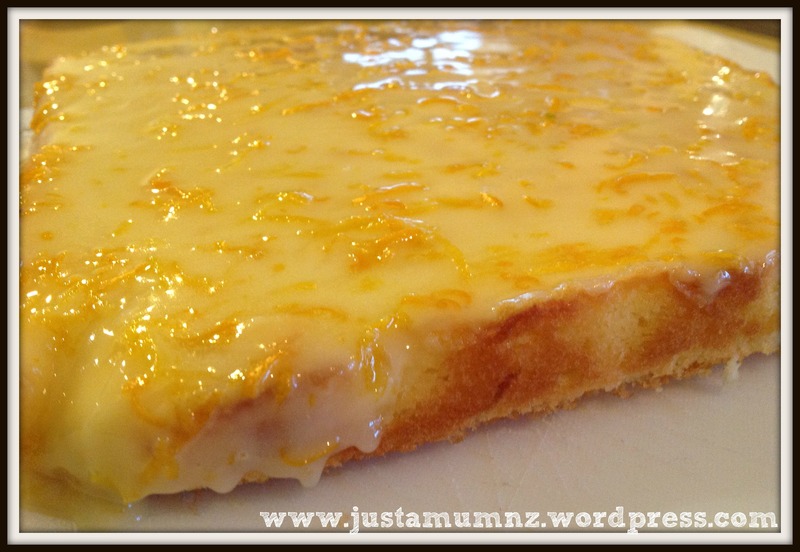 My mum has been making this slice for years, it is so tasty, a simple slice to prepare and a great one to whip up quickly with basic ingredients. Add egg to butter mixture and beat in well. 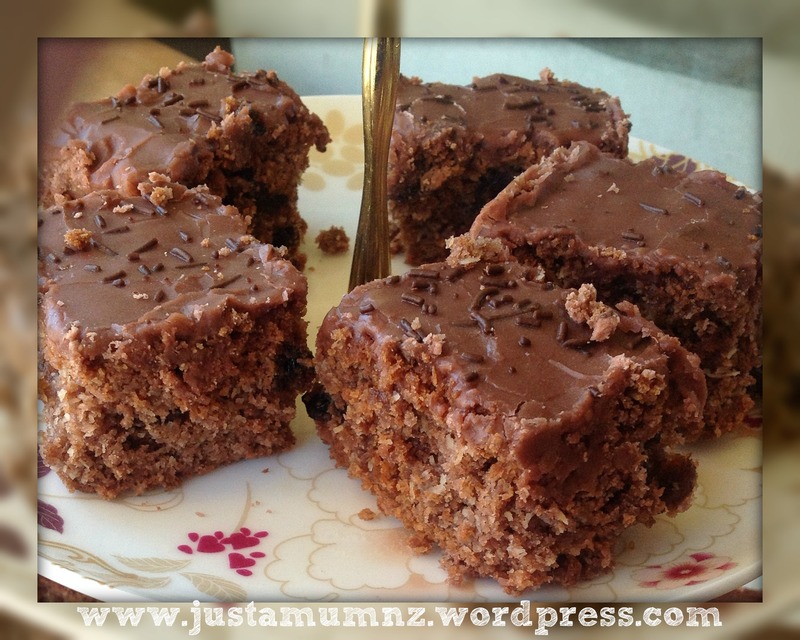 Add Flour, Baking Powder, Cocoa, Coconut and Sultanas and mix until well combined. 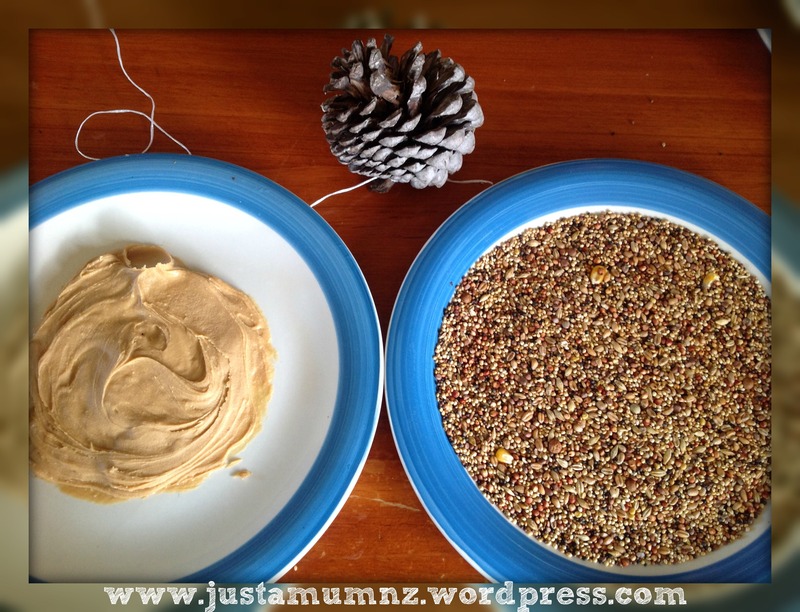 Pour into a greased or lined slice tin (18 x 27cm) and press down until smooth. The lined tin works best as easy to lift out once cooled. You need to ice slice while still warm. To prepare the icing combine the icing sugar, cocoa, butter and vanilla in a medium bowl. Add the water a little at a time until you get the desired consistency. Once removed from oven spread the icing over the still warm (but not hot) slice until it is evenly covered, it will melt onto the slice so a little goes further. You can decorate with a sprinkling of coconut or chocolate hail if desired once iced. Remove slice from pan once cooled and cut into small squares. Store in an airtight container. Thanks so much for checking out this lovely family recipe. To keep up to date with my latest recipes you can Like me on Facebook or Twitter or register your email to receive the latest posts from the blog as they are published. Check out above left for the right places to click! 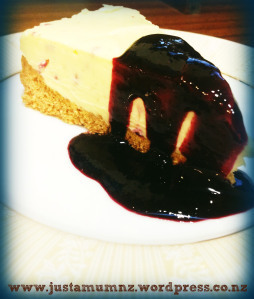 I discovered this recipe after endless requests from my lovely husband to learn how to make his favourite dessert – Cheesecake! I have no time for fancy ingredients or tricky techniques so after combining a few ideas from online this is what I have come up with. It is a White Chocolate Cheesecake using a block of Whittakers White Raspberry Chocolate, but you can easily use your favourite white chocolate and it will still be just as tasty. And the couli? Only two ingredients 🙂 I said it was easy! 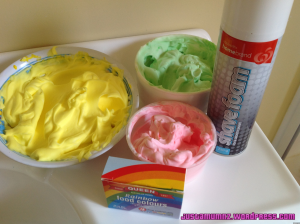 Prepare it at least 4 hours before you wish to eat it – it will still be fine after a day or two in the fridge so I will not judge if you have cheesecake for breakfast……..
Who wouldn’t love to paint the walls while you are having a bath! My kids love this simple yet fun activity – takes no time for me to whip up and no time at all to clean up either when they are done! Would be great for little ones who are reluctant to have a bath at night, of course use appropriate products if your kids have sensitive skin etc – but for everyone else – you MUST try this! I love the combination of orange and chocolate – it just works so well. 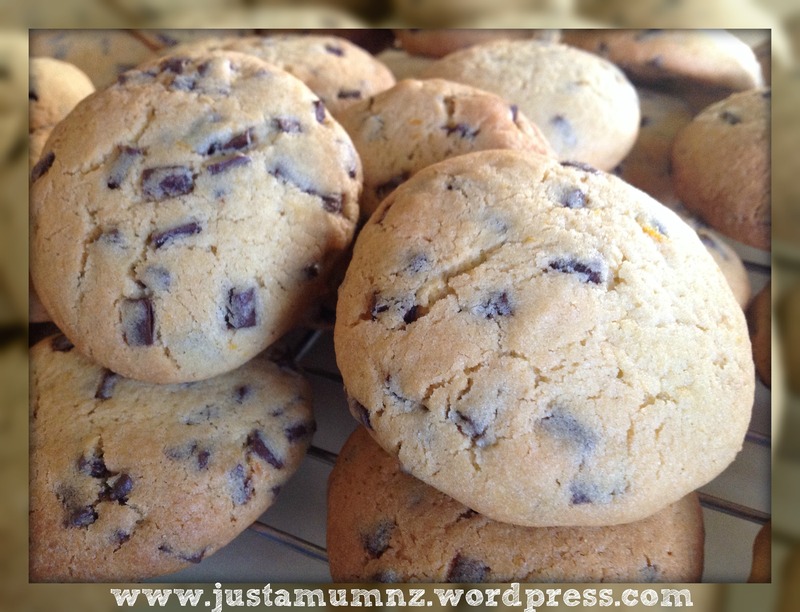 These cookies are the perfect combination, lots of chocolate chips, a soft and crunchy cookie with a hint of orangey goodness. 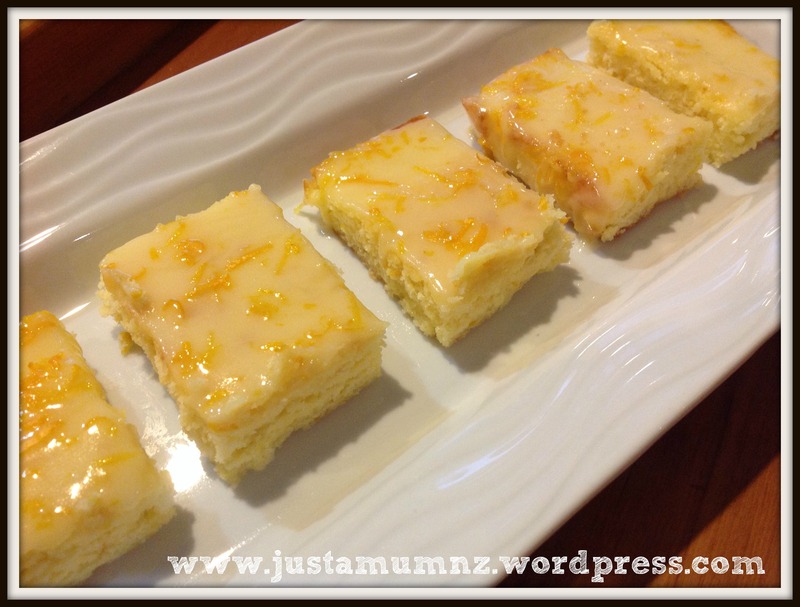 This recipe is really easy to make using the basics from the pantry and one orange – cannot get much easier than that! This recipe makes approx. 30 cookies. Combine the flour, baking powder, baking soda and salt together and set aside. Cream the butter, brown sugar and castor sugar in a food mixer until pale and creamy. Add the eggs one at a time on high until well combined. On a low speed or with a wooden spoon fold the flour into the creamed mixtre. Mix in the chocolate chips and orange zest and gently combine. Roll tablespoon sized pieces of dough into balls and pop onto greased or lined baking trays leaving an inch or so between to allow to spread. Using your hand or a fork gently pat the balls flat. Baking for 13-15 minutes until lightly golden. Remove from the oven and cool for a few minutes before transferring to a wire rack, store in an airtight container. 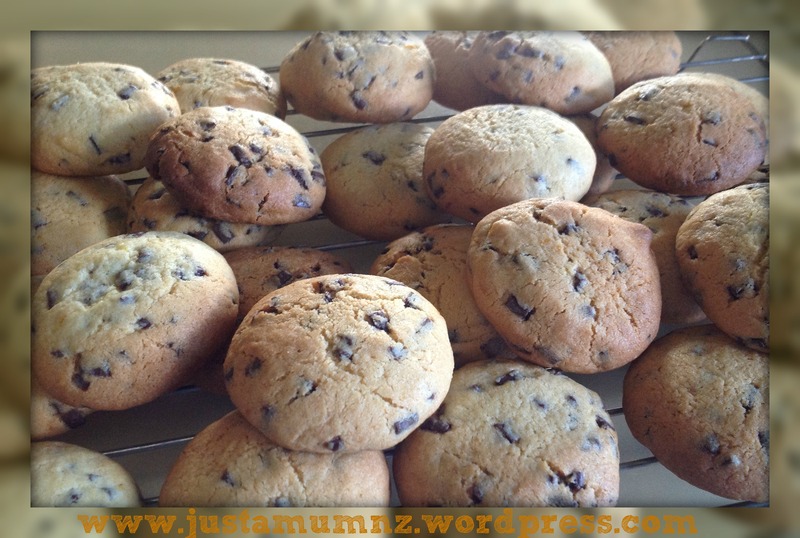 These are sooooooo good, of the first batch only about 10 made it to the cookie jar – the smell and taste ensured the visitors ate them warm straight from the oven! 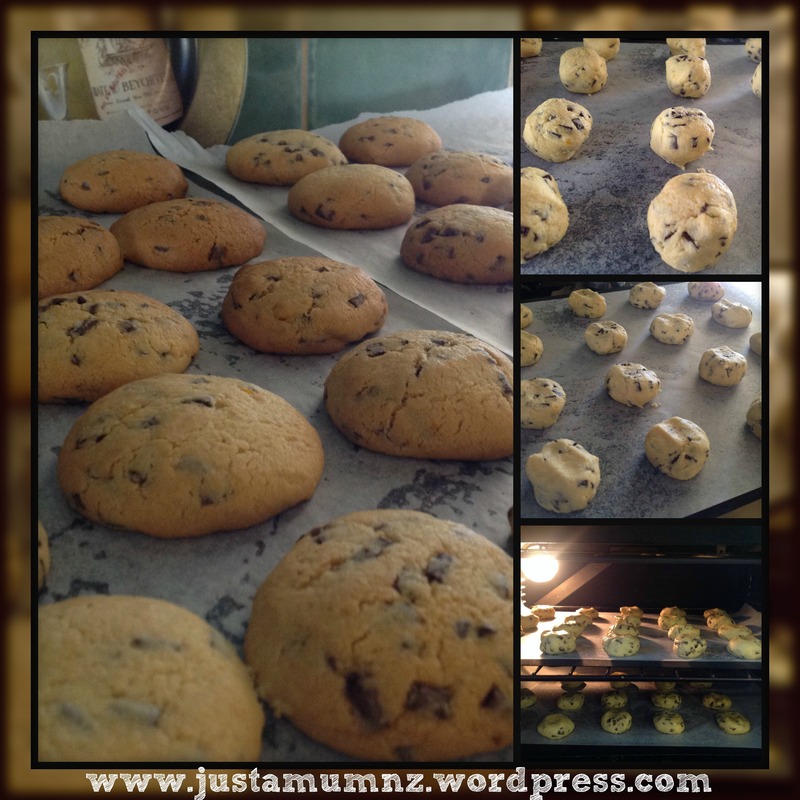 For more lovely recipes have a look around the site, or follow me on Facebook or Twitter. 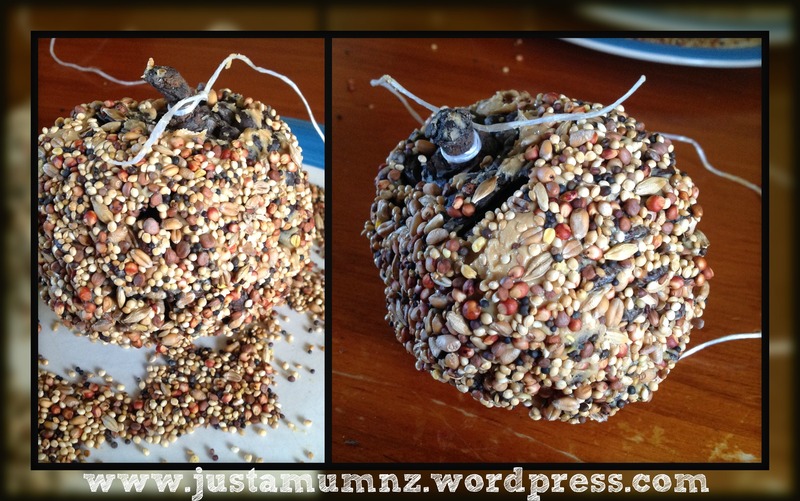 Just a Mum and justamumnz: Unauthorised use and/or duplication of this material without express and written permission from this blog's author and/ or owner is strictly prohibited. Excerpts and links may be used, provided that full and clear credit is given to Just a Mum with appropriate and specific direction to the original content. Thanks!